We believe in the importance of activities in sports to enhance health and vitality. It is our aim to promote and support the orienteering sport all over the world. 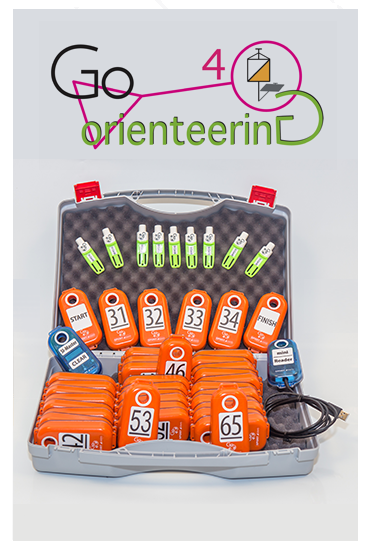 Specially for the World Orienteering Day 2018 we developed a set for schools. We would like to support this next generation in reaching their goals, with full performance timing equipment adjusted for schools and kids. New ideas are required to make physical education more varied and vital. Kids want to be attracted. Exercises should be fun to do while stimulating movement and developing physical abilities. The World Orienteering Day is a great opportunity to make orienteering more visible and attractive for all young people worldwide. Next to our offer we would like to propose the Go4O set, developed for our partner in Belgium, which combines more than 1300 exercises & games for schools with SPORTident quality. Be part of the World Orienteering Day and use our special offer to make your event exciting and unforgettable. Register your event at worldorienteeringday.com. Our successful "School and Training Set + 30pCard"
School and Training Set "pCard"
The SPORTident School and Training Set "pCard" is a fully featured configuration of SI-Cards, SI-Stations and a thermal-printer. It enables the immediate usage of the SPORTident System without a PC. This instruction describes the handling of the SPORTident System for use at training activities. 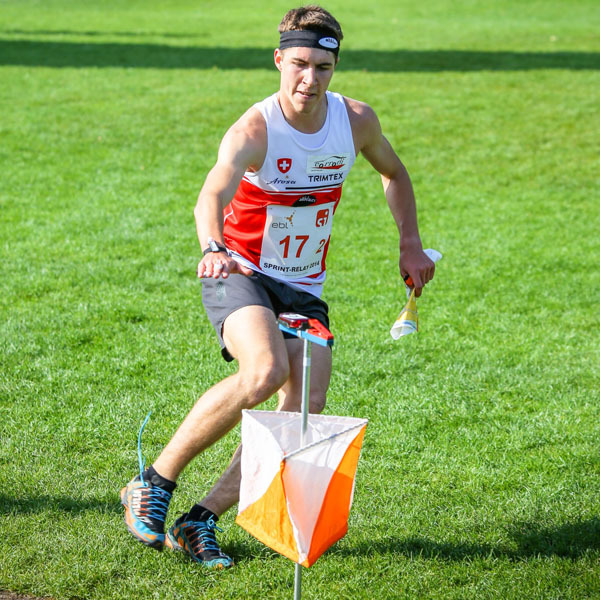 Besides the priority use for orienteering, there exist a multitude of further possibilities where a personal timing at several control points is necessary. However, on principle the single working step are valid for all variants of using the SPORTident System. The SPORTident devices as part of the School and Training Set "pCard", are completely compatible with the whole SPORTident System. The set will be delivered with 30 pCards. Choose between three different layouts. 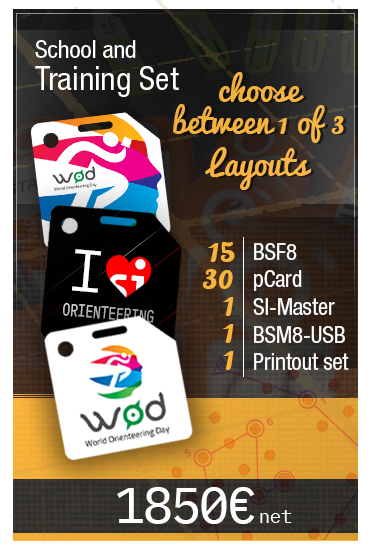 Two of the special layouts are designed with the WOD logo, the third one with the "I love orienteering" slogan. 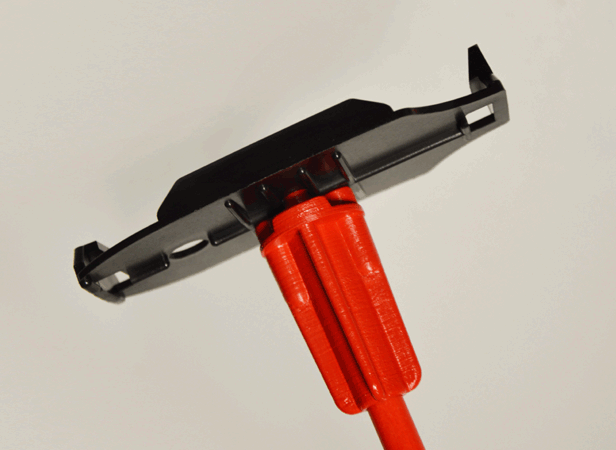 The fiberglass stick (80cm) is easy to set up in various terrains and convenient to transport through its simple plug-in system. 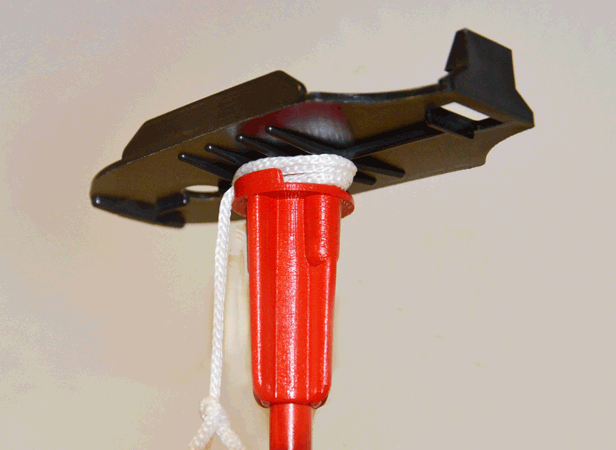 Our newly developed O-Stand ensures the easy mounting of the flag below the mounting holder plate. The Go4O Set comes with 26 SI-Station BSF8-S (school) and 25 SI-Card8. The reduced functionality (no split times, no backup memory, no display) of the new developed SI-Station allows a fast an easy setup. The run time is given by the Start and Finish unit, the controls just show the code number to verify the course. The complete set will be delivered in a transportation case with all required accessories. Go4orienteering developed more than 1300 exercises & games for schools over the past years and their number still increases. The exercises are fun but challenging. The exercising sets have basic and competitive but also relay exercises. Due to the increasing difficulty degrees (1 -> 6 stars) everybody can evolve according to his own pace. 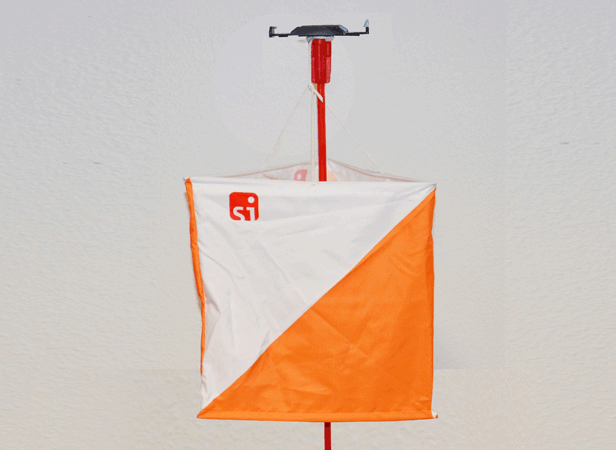 The Go4o set is the perfect solution for teachers. Create games and exercises for children with lowest effort and a minimum time of preparation. It was never easier to create fun games and exercises for children.